Newly engaged? Congratulations! What’s next? Were the holidays a little more special for you this year? If the question was popped to you by your special someone, congratulations! Getting engaged is a very special event in your life, but quickly after that comes the daunting task of planning a wedding. It can certainly be stressful, however, it can also be a really fun and rewarding process. We have a Sales Representative that specifically works with all of our bridal events. He has put together a few tips on how to get your thought processes and planning procedures in order before you dive into planning your special day. Budget – Set a budget. Weddings can be very expensive. Having some sort of budget in mind before you get started will allow you to use your time wisely and only view those venues that will fit your budget. 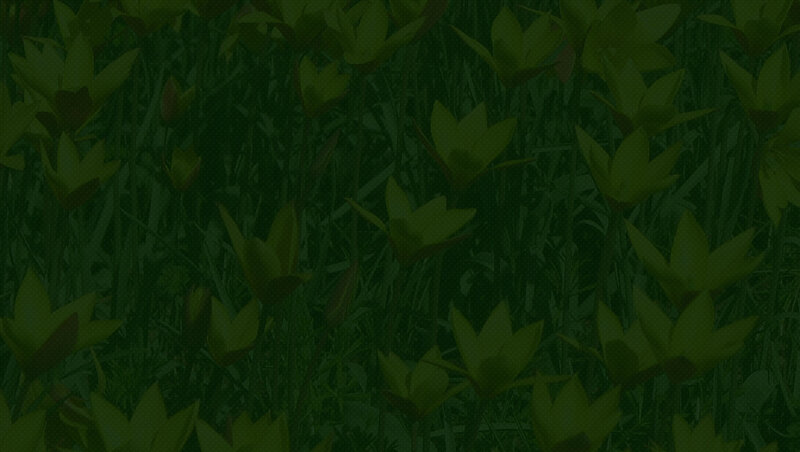 Season – You may not know the date yet, but go ahead and pick a season you are interested in. Winter, spring, summer, or fall? Each has amazing months to get married in. Be sure to ask if your venues/vendors that you are interested have ‘off peak’ seasons. Day of the Week – While Saturdays are the traditional day for weddings think about if you’re open to a Friday or Sunday, especially if there may be a discount involved. Guest Count – While we know that you won’t have your final guest list done, going ahead and getting a fairly accurate estimated guest count before you start to inquire to venues will save you a lot of time. No reason to look at a space that is way too small or way too big for your group. Also, having an estimated guest count will help your venue’s event sales staff give you the most appropriate pricing. If you are flexible, that is even better! 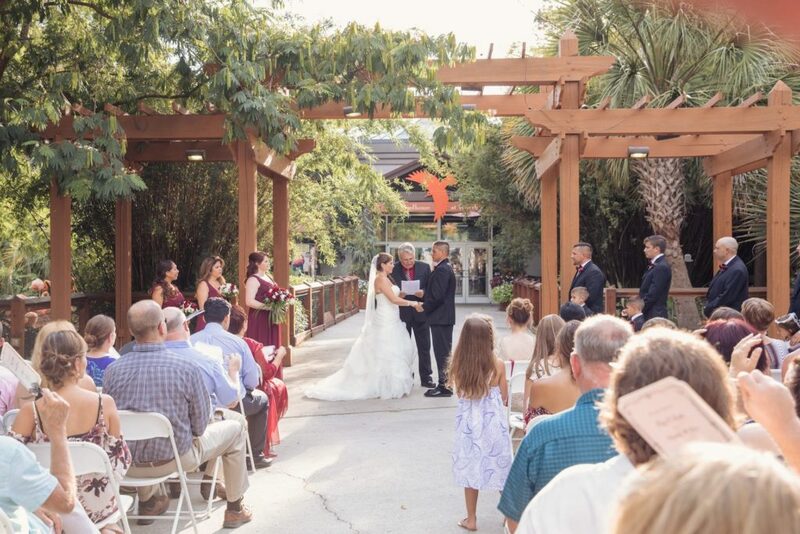 For more intimate weddings, The Birdhouse is a scenic and charming venue. Theme – Do you have a certain aesthetic you are going for? Garden party? Rustic? Classic? Traditional? Unique? Pinterest is a great place to find some ideas that catch your eye. Once you have your general theme down, start looking for venues that will compliment your style, but also don’t forget to be open. Many venues can be transformed to fit your vision. The Ndoki Lodge is furnished in rustic African style with massive exposed beams and banks of oversized windows overlooking the tropical forest foliage. The ARC, short for the Aquarium Reptile Complex, is an unusual and unique indoor venue with a stunning 55,000-gallon coral reef display hosting jellyfish, crocodiles and even sharks serving as its centerpiece. 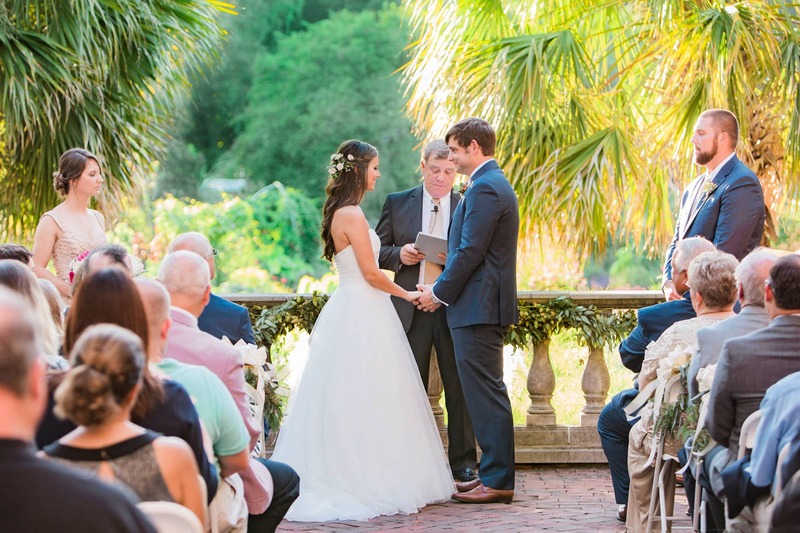 Ceremony Location – If you would like to have your ceremony in the same location as your reception then you’ll want to make sure you’re looking at venues that have the space for that as well. The Magnolia Room, located in the midst of our spectacular botanical garden, and its romantic bricked terrace are the ultimate location for a dazzling ceremony and reception. 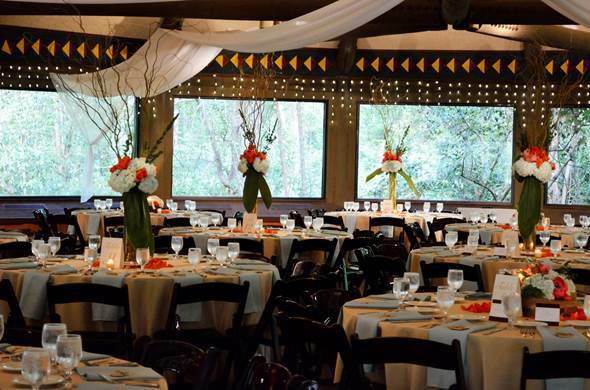 Check out all of the Riverbanks Zoo’s beautifully exotic venue options here. Venue Tours – Once these items above have at least been talked about, start reaching out to venues that you may be interested in. Schedule a tour to view them in person. Sometimes photos can be deceiving. 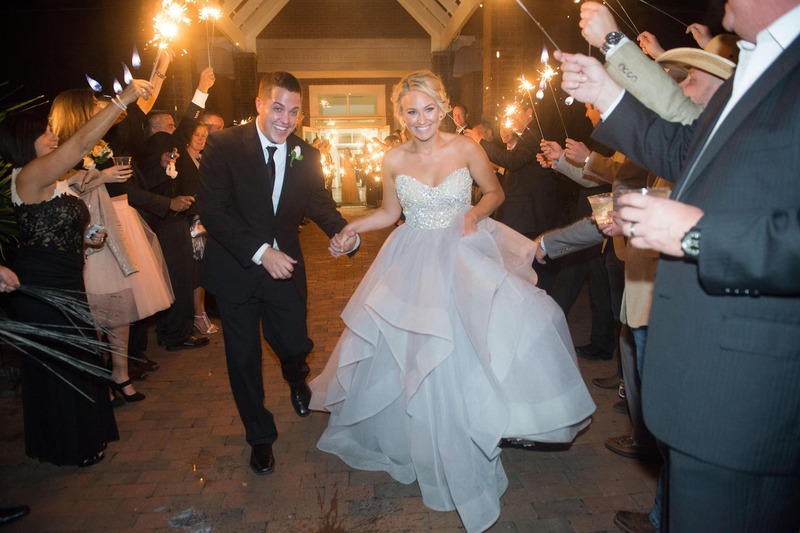 The Knot and Wedding Wire can be a great place to start finding venues in your area. 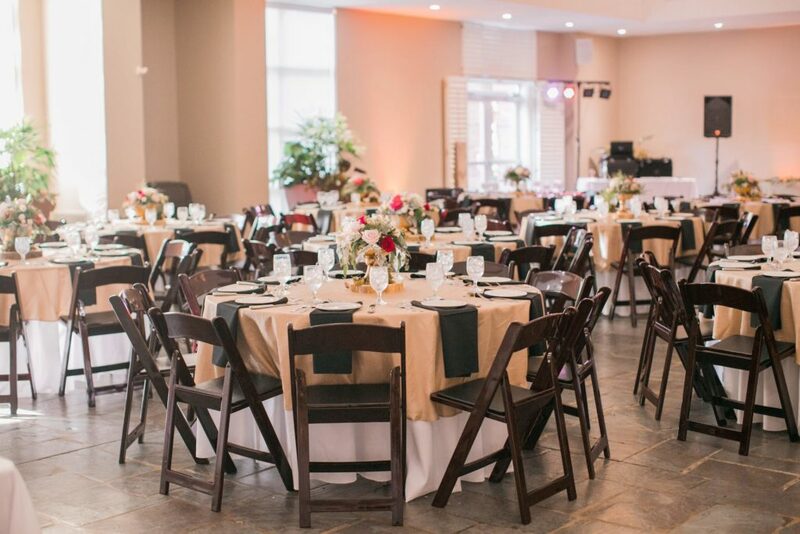 Book Venue – Locking down the venue should be your first, formal step in the wedding planning process. Without a venue, there is no need to book other vendors such as floral, cake, entertainment, etc. as many venues have specific policies about who you can use for these other services. Additional Vendors – After your venue is booked, start to do some research about other vendors you may want to use. Be sure to check in with your venue before you start this process. Do they have a preferred vendor list or mandatory vendors? If so, great, less work for you! If not, certainly ask them for their professional opinions. Schedule Vendor Visits – Once you have a list of preferred vendors that you are interested in working with schedule cake tastings, floral shop visits, etc. to narrow down and book those vendors. Bridal Show – If there is a local bridal show in your area, GO! This is a time that you can meet with countless event professionals in your area. We will be showcasing at a few this year (https://bridecitybridalshows.com). If you are in the area or planning on attending the show be sure to come by and say hey!